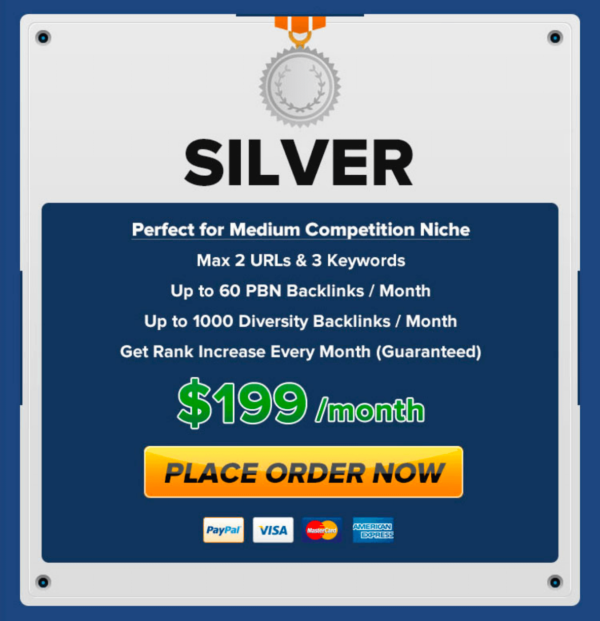 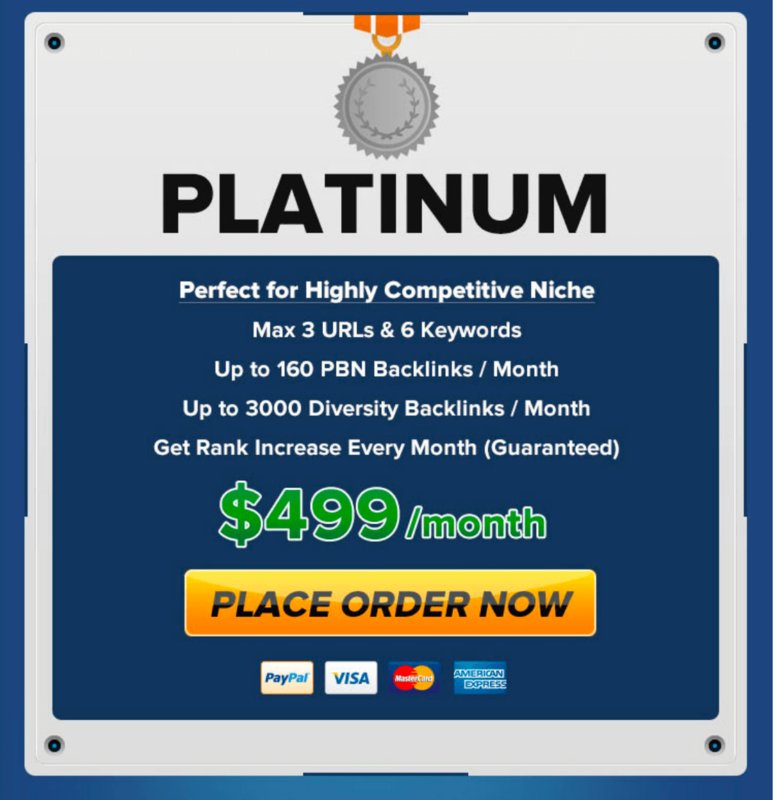 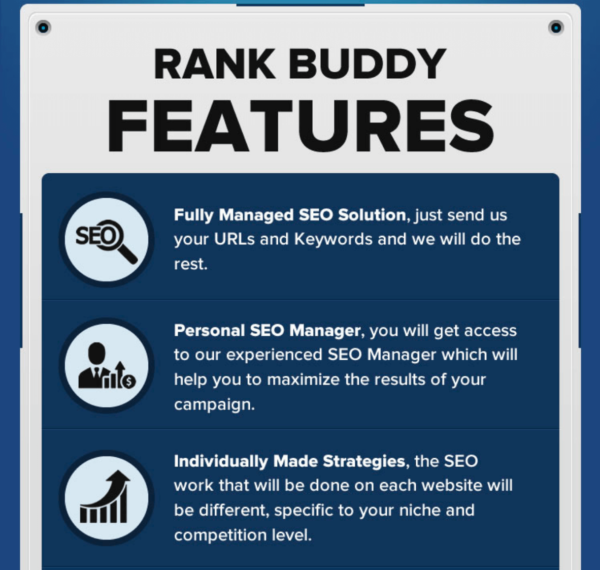 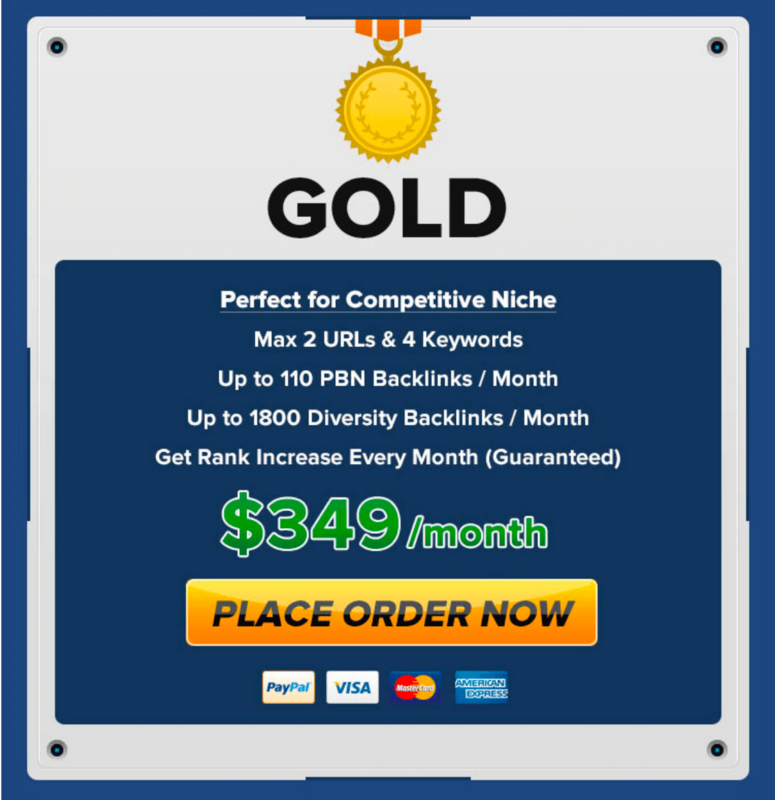 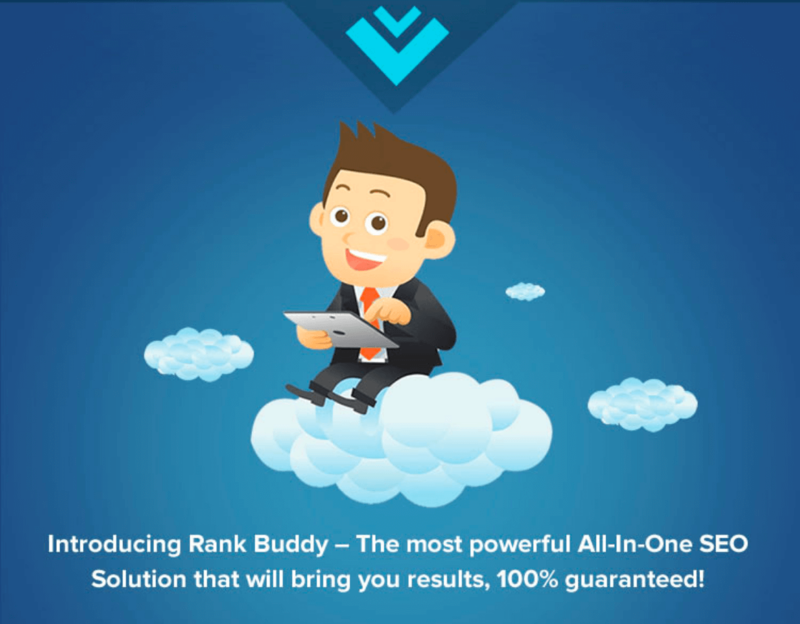 We are offering our brand new SEO Service – Rank Buddy. 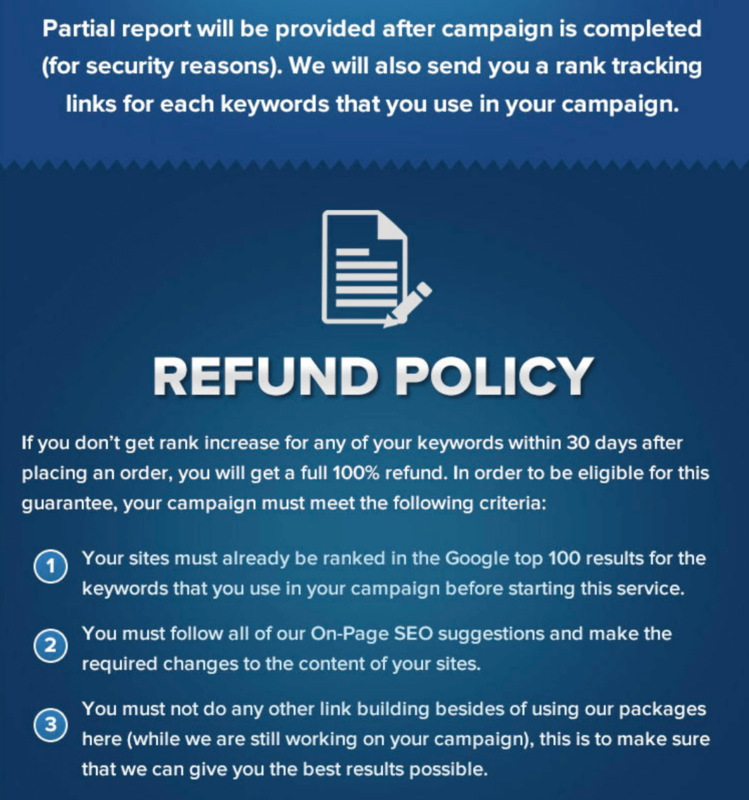 In this service, you will get fully managed SEO Service with 100% Money Back Guarantee. 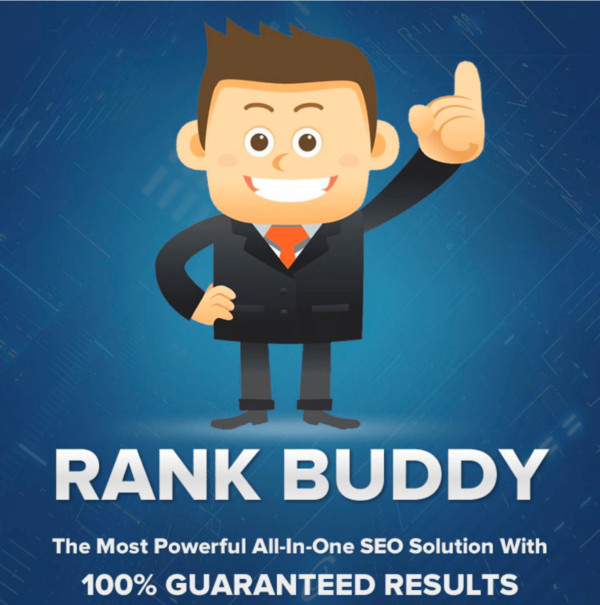 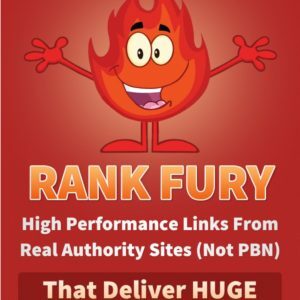 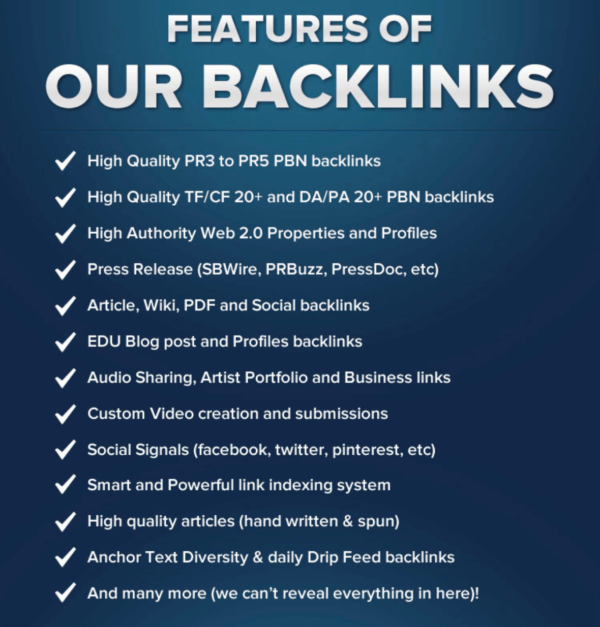 Rank Buddy is “The Most Powerfull All In One SEO Solution that will bring you AMAZING results!” With hiqh quality backlinks that will push your rank so FAST! 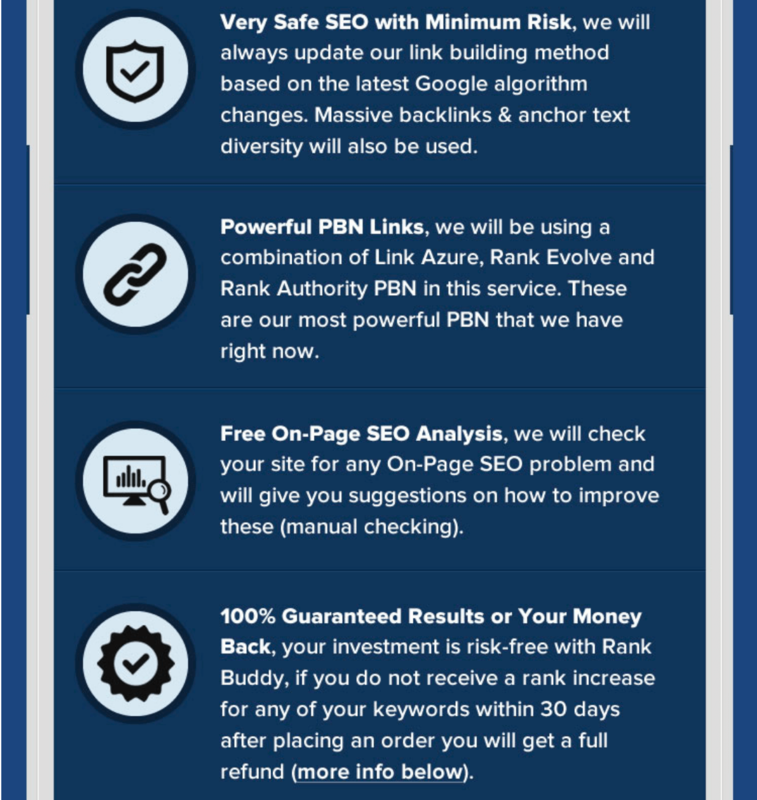 SEE SOME OF OUR WORK BELOW!! We have been fully satisfied thus far. 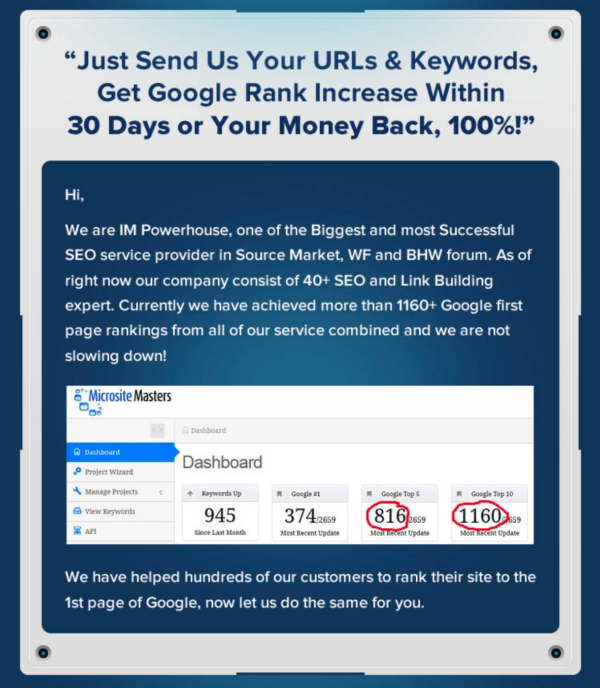 My site ranking went from 4th page to 1st page. 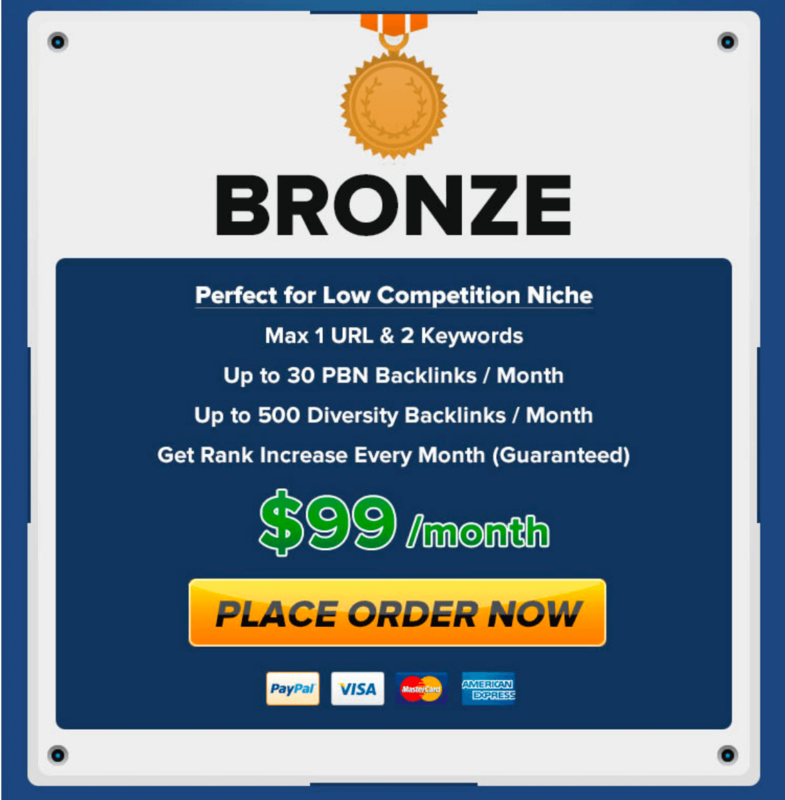 My target country was Japan. 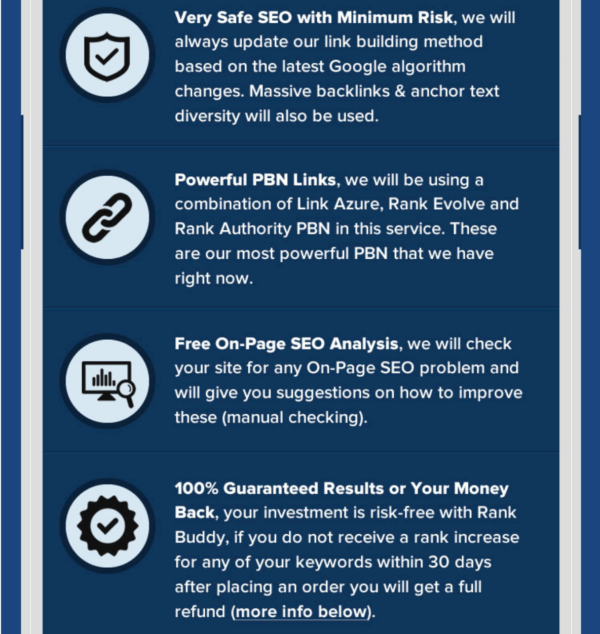 Very satisfied with the service so far.